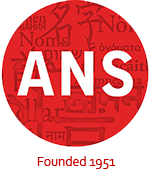 The ANS 2019 annual conference will be held in conjunction with the Linguistic Society of America from January 3-6th, 2019 in New York, NY. Please use this online form to register – or, if you prefer, you can download a PDF and follow the instructions for submitting by mail. 1. ANS Membership: Information about membership is located here. All members of the ANS receive a subscription to our journal, Names. To sign up for your subscription, please visit the website for Taylor & Francis, the publisher of Names. If you are not an LSA member, you can still receive the member rate by using the coupon code SISTER2019REGULAR (for non-students) or SISTER2019STUDENT (for students) at checkout. Note that you cannot use these codes if you are already an LSA member. 3. LSA Hotel: ANS members may also take advantage of the hotel room rates negotiated by the LSA at the Sheraton New York Times Square. The special LSA room rates for the 2019 Annual Meeting at Single/Double: $149/night, Triple: $179/night; Quad: $209/night. Reservations will be available from September 1 through December 3, 2018 or until the LSA block of rooms has been filled. 4. ANS Registration: Participants and presenters are asked to register with ANS at the appropriate level. Each attendee must fill out this form and pay separately. 5. ANS Dinner. The ANS dinner will be held on Saturday, January 5th 2019, 7 pm, at Carragher’s, 228 West 39th Street, in New York City. This year we are asking all who are interested in attending the ANS dinner to check the box below. Detailed information on the dinner can be found here, along with instructions for prepayment. However, if you wish to pay for an extra meal for an anonymous student who needs funding, you can do so below by filling in an amount of your choice. To register, fill out the form below, or download a PDF and follow the instructions for submitting by mail. Are you attending our dinner?